Happy Skin's Forbidden Fruit | Vanity and Everything in Between. If there's a local brand of makeup that I can't get enough of, it's definitely Happy Skin. What really catches my attention is their packaging and the names of their products. Really catchy. 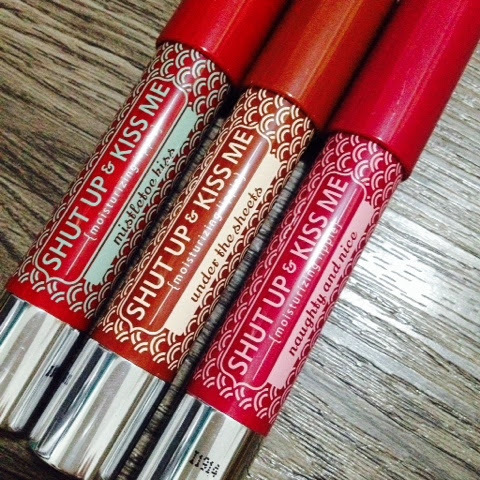 Oh, and their Shut Up & Kiss Me Moisturising Lipsticks? Worth every penny! That was why it was a no brainer to purchase their limited edition of moisturizing lipsticks for the 2014 Christmas holiday. What caught my attention even more is the tin can that came with it. Something totally reusable, finally! Take a bite of the juices lip colors! 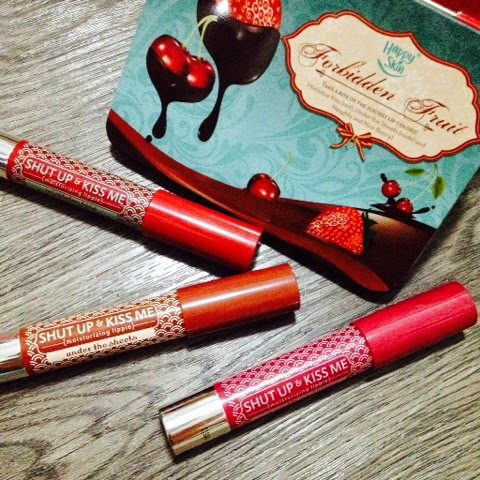 As Happy Skin always comes up with witty names for their products, this set's theme was all about Christmas! Take your pick. Can you guess mine? I was shocked that Under the Sheets is really pigmented! Naughty and Nice on my lips. Mistletoe Kiss on my lips. I've already reviewed these moisturising hippies here. 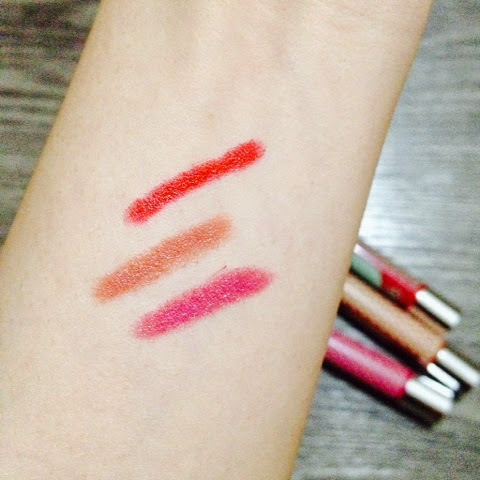 The purpose of this post was mainly to show the swatches and how they look on my lips. Among the three, Under the Sheets is my favourite. It might not be the most Christmas-y color but it's a color that I can easily wear without getting stares from everyone. Mistletoe Kiss is alright. 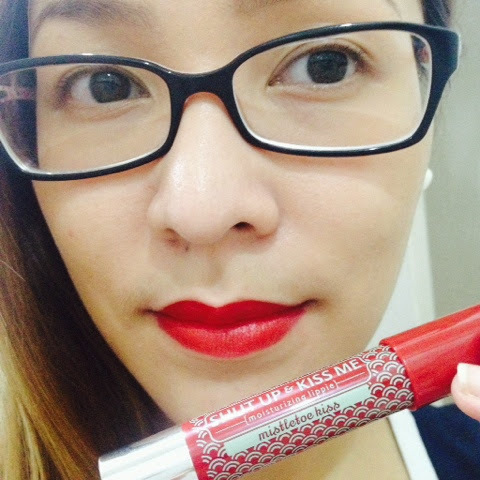 I was expecting it to be a true blue red and that's how the color fares on my lips. But I find it too bright at times. So, I wear it in the evening. Naughty and Nice is just meh on me. I don't like how it looks on me. They should have just came up with pink instead of berry. Forbidden Fruit set is limited edition so if you like any of the three, better buy it now before they pull out the stocks! 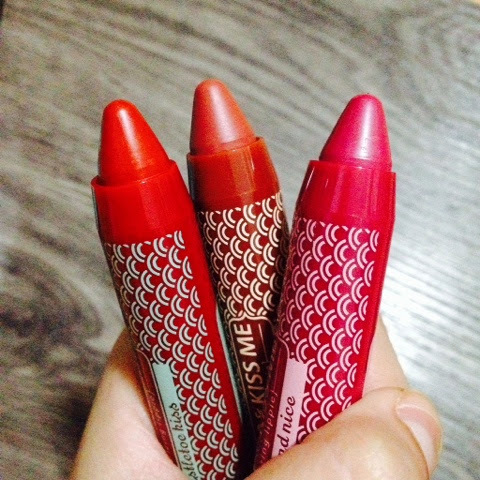 Easy Moisturising Lipstick costs PhP549 but if you get the set, it costs PhP1,299. You get to save a little plus you get a tin can, too! 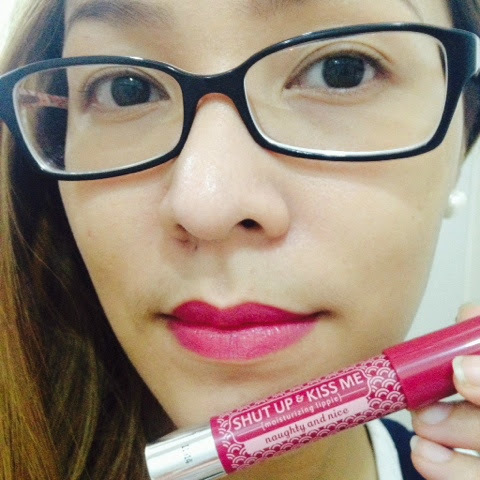 The other shades of Moisturizing Lipsticks that are part of the permanent collection are PhP499 each. Happy Skin is available at all Beauty Bar branches, selected Plains & Prints branches, and on their website happyskincosmetics.com. You're really the best when serving a product review Miss Gem. im really proud of our filipino made cosmetics! they're worth buying for i love the first swatch! Under the Sheets looks like your MLBB! I love Naughty and Nice. I usually like just one out of every limited edition collection. Haha. Before that, it was The Morning After. 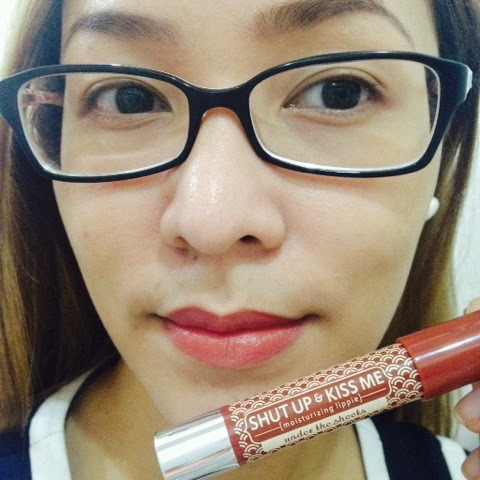 I really really want to try the shut up and kiss me yung kay Liz Uy na line.Tama ba ko? hihi Can't buy as of now but soon i will.